The National Shooting Sports Foundation (NSSF) hailed the recent bipartisan introduction of the Export Control Reform Act of 2016 in the U.S. House of Representatives, H.R. 6176, as well as the companion Senate bill, S. 3405, and called on Congress to pass this important legislation. The administration has transferred, or is in the process of transferring, to Commerce from State, export licensing responsibility for virtually all commercial, non-military items. The only remaining items yet to be transferred are sporting and commercial firearms and related products. While we have patiently waited for the administration to make ECR progress on our products, small manufacturers, component parts suppliers, distributors, and exporters in our industry, and even gunsmiths and individuals, have to continue to comply with unnecessary regulations and to pay an annual minimum registration fee of $2,250, regardless of whether they actually export. Under the State Department’s Cold-war era export licensing regime, American companies are unable to compete globally on a level playing field. 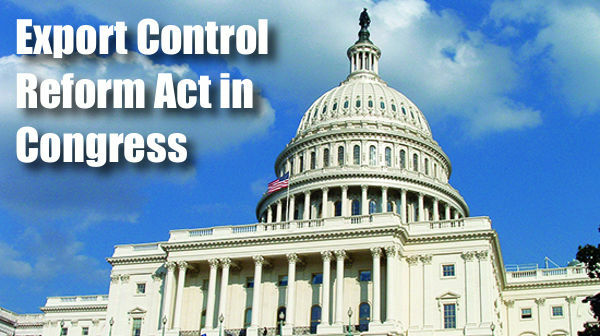 Share the post "Export Control Reform Act Could Benefit Firearms Industry"